Two Years of Apple's iPad: Happy Second Birthday, Innovative Tablet! 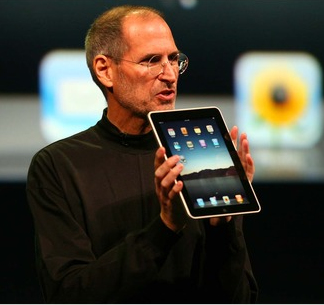 Steve Jobs holding the first iteration of the iPad tablet. Two years ago Friday, Apple's late co-founder and CEO Steve Jobs unveiled the original iPad, one of the most anticipated Apple products in history. "There hasn't been this much hype about a tablet since Moses came down from the mountain," Jobs said quoting an earlier New York Times article. Speculation over Apple's touch tablet had been circulating for months, and the as-yet-unseen product was predicted to be the savior of all things print--including books, newspapers, and magazines. When the Apple slate finally went on sale in the U.S. in April 2010, it quickly won over fans nationwide selling 300,000 units within the first 24 hours. Competitors followed with competing tablets including the Android-based Motorola Xoom and Samsung Galaxy Tab, HP's TouchPad, and the BlackBerry PlayBook. So far, however, not one of these tablets has been able to unseat the iPad's dominance among one-panel touch slates. In October, Metrics firm comScore said the iPad accounted for more than 97 percent of all online web traffic coming from tablets. To date, more than 55 million iPads have been sold, and the device doesn't show any signs of slowing: Now rumors circulate online about an upcoming iPad 3. Here's a look back at 10 milestones from the past 24 months of iPad mania. 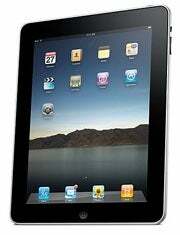 After the January 27 announcement, the Wi-Fi only version of the iPad officially went on sale on April 3, 2010. The sale led to massive lines at Apple stores across the U.S. as people jockeyed to be among the first to lay their hands on the innovative slate. Apple would later report it had sold more than 300,000 iPads during the first day of sales. The iPad was such a U.S. hit that Apple was forced to delay the slate's international launch to keep up with demand at home. Shortly after the iPad was announced in January, the jokes started over the Apple tablet's name. Just two hours after Jobs left the stage, "iTampon" was a trending topic on Twitter, and it didn't take long for people to dredge up a Mad TV skit from 2007 about a certain feminine hygiene product called the iPad. Apple followed the debut of the Wi-Fi-only iPad with a 3G option nearly four weeks later. The slate was sold contract free, but required the use of a MicroSIM card. This complication essentially meant that most users were stuck using AT&T's 3G service for their iPad. Between May 3 and June 22, 2010, Apple was determined to impress technology fans with the popularity of the iPad. The company announced on May 3 that it sold one million iPads in 28 days, followed by an announcement on May 31 it had sold 2 million iPads in less than 60 days, followed by an announcement on June 22 that it had sold three million iPads in 80 days. This was followed by a collective "enough already" from the tech blogs. On November 22, the iPad received its first major OS update with iOS 4.2, which featured multitasking, folders; a unified inbox for email; Airplay; and AirPrint. Apple's iOS 4.2 also foisted its Game Center upon iPad users. The second major OS upgrade for the iPad ended a continuing debate over the fate of the tablet's side switch. With iOS 4.2, Apple changed the behavior of the switch from a screen orientation lock to a mute switch (similar to the iPhone). But iOS 4.3 brought back the orientation abomination as an option for those who couldn't understand the obvious advantages of a hardware mute switch. The iPad's side switch is a mute button by default, but if you want to change that to a rotation lock, you can do so in the iPad's settings. Apple launched the second iteration of the iPad in March 2011, and it featured a 1GHz A5 dual-core processor, a 33 percent thinner profile, front- and rear-facing cameras, and a novel sleep/wake function activated by magnets, as well as a piece of rubber called a "Smart Cover." In June 2011, Apple's App Store passed the 100,000 iPad-specific app mark, according to MacStories. This was a little more than 14 months after the original iPad hit store shelves. Apple in October 2011 launched iOS 5.0 that brought wireless iTunes sync, over-the-air updates, and iCloud to the iPad and iPad 2. 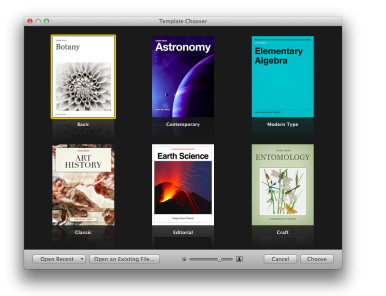 Apple announced on on January 19, 2012 that it was getting into textbooks with iBooks 2 and a textbook creation tool called iBooks Author. Instead of giving students a load of backbreaking paper textbooks, Apple hopes the iPad's ability to render animations, photos, videos, and other interactive features will reinvigorate the boring world of academic textbooks. That's a look at the iPad over the past 24 months, and the future promises more excitement for the iPad. Current rumors suggest the iPad 3 will have a faster processor, higher resolution display, and possibly a 7-inch iPad model.